For the past several years, emphasis on compliance packaging, higher quality barriers and patient centricity has been on the rise. This has been driven by regulation as well as corporate life cycle management strategies. While child proofing is not new in the pharmaceutical world, companies continue to developpatented proprietary designs. Tamper evident stickers, color coded prints to identify generics, braille printing, and anti – counterfeit ink are features that are now being used increasingly in blister packs in Europe.In the case of oral solids, it is notable that majority of the innovations have been centered around the Europe market where majority of the productsare packed in blister packs (common in Europe and Asia) and less US centric where the HDPE bottle is the mainstay. The wallet packs, for instance, are fast gaining popularity due to the opportunity for branding and differentiation combined with novel designs for child proofing and tamper evident packaging (such as the Ecobliss products illustrated alongside). Hospitalunit dose packaging is an individualized preparation of drugs manually in the pharmacy or with automated dispensing machines. It is likely to gain traction in the upcoming years owing to its increased efficiency and safety, and reduced dosing errors. Manufacturers are slowly recognizing that the large batch production with a one – size – fits – all approach will no longer work, and customized packaging solutions with smaller batches for end user distribution are more suitable for the changing industry. HUD packaging is gaining adoption in regulated markets and specialized equipment vendors are capitlizign on this opportunity. While quantum of impact on Indian market is hard to assess, it is likely to cause a shift in materials and technology used for primary and secondary packaging, especially of oral solids. Preventing theft and counterfeit drugs has been the key area of focus for regulatory agencies around the world in the recent years, which led to the adoption of track and trace and serializations of drugs. So far, countries like Turkey, China, USA, EMEA and India (for exports) have passed laws for mandatory adoption. The demand for pharmaceutical traceability will continue to grow globally, and vendors will be Preventing theft and counterfeit drugs has been the key area of focus for regulatory agencies around the world in the recent years, which led to the adoption of track and trace and serializations of drugs. So far, countries like Turkey, China, USA, EMEA and India (for exports) have passed laws for mandatory adoption. The demand for pharmaceutical traceability will continue to grow globally, and vendors will be forced to adopt new technologies to keep up with the stringent regulatory demands.As a mandated need that will become the global norm in the future, serialization software providers have become a critical part of the packaging and supply chain ecosystem. We expect that this will be a high growth segment in the near to mid-term horizon, and the intense competition amongst international companies such as rfxcel, TraceLink, Systechand smaller local Indian compeittors is here to stay. Pharma industries around the world have increased the emphasis on lean manufacturing and energy-conservation. This trend will soon reflect in Indian companies, and packaging manufacturers will have to hustle to provide innovative solutions. Recent design and material innovations have been undertaken with the aim to reduce the overall carbon footprint. Formpack® Ultra by Amcor is reflective of this; a technology innovation in blister packs, it allows cavities to be drawn deeper, thereby minimizing overall size of the blister pack and volume of secondary and tertiary packaging, eventually translating a cascading effect on waste minimization across the value chain. DosePak® calendar-style packs by WestRock is another ecofriendly packaging solution; plastic resin is replaced by renewable paperboard. A significant number of material innovations are also aimed at making the existing processes more affordable and cost-effective. 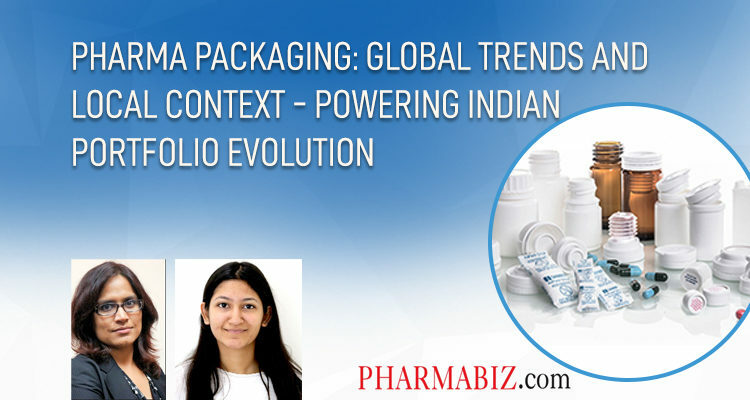 Innovations have been seen primarily in multinationals and it is imperative that the Indianpharmapackaging industry escalate themselves in the value chain by keeping up with the changing demands of the industry as well. Functionality is another aspect that can be enhanced and rethought in primary packaging. Despite all of the new designs and packaging technologies, the largest volume of drugs are still sold in traditional packaging. We have only scratched the surface in primary packaging innovations, and growth through transformative products is a future promise. The Indian packaging landscape is structured in the form of a pyramid with an extended base comprising of small scale suppliers focusing only on specific parts of the packaging value chain. These companies are genericizedsuppliers catering to multiple sectors such as food, pharma, personal care and general product offerings. They focus exclusively on specific parts of the value chain, such as segments of primary packaging like blister packs, HDPE bottles, ampoules etc. or in segments of secondary packaging including labels, pouches and cartons. In the middle tier are Indian companies with a mid to large scale portfolio such as Uflex and EsselPropack. At the top are large multinationals such as West Pharma, Amcor, SGD Pharma and Huhtamaki with marketing offices or manufacturing units in India. A growing demand and usage of parenteral drugs has resulted in an increasing demand for advanced drug delivery devices that assure ease of administration and cost containment. Even beyond injectables, the industry the Indian pharma industry is going through a transformation with the leading players now pursuing high level of portfolio diversification. While the past was largely vanilla oral solids with some injectables, the future includes transdermal patches, topical products, inhalation products such as MDI and DPI, self-injected injectables, peptides and biologicals et al. This changing portfolio is a call for action to the packaging industry. The offering needs to evolve to serve the niche and complex future needs. The opportunity is across primary and secondary packaging. We anticipate high investments across packaging companies and a rapid evolution of the industry composition. The winners will be those who don’t view themselves as just suppliers to the industry, but actively seek to power the pharma industry’s growth aspirations with enabling packaging solutions. Consolidation leading to more scaled up industries:The Indian packaging industry has too fragmented a base; consolidation needs to occur in order for the companies to expand and move up the value chain. We perceive substantial acquisition momentum with mid-sized companies attracting interest of multinationals for expanding the India base. Consolidation will lead to a narrower base with more scaled up enterprises which will convert to a greater capability for innovation. Specialized Players entering the Indian Market:Specialized players are now entering the Indian packaging industry. For instance, Desiccant pouches, a product category earlier dominated by Clariant and Sorbead, now sees local successful enterprises such as Orem and Cilicant claiming a significant share in the Indian market. 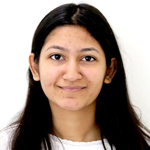 Expansion of local footprint by multinationals:India is now recognized as a large growth opportunity for pharma packaging products by large multinationals; they are getting more aggressive in the Indian landscape in order to stay competitivein the market.Companies are setting up marketing or manufacturing units locally; and there is a continued thrust on capacity expansion. As the pharma industry evolves, the most glorious phase for the packaging companies lies ahead. Higher product complexity of the final product implies greater value addition and willingness to pay. The next five to ten years will be shaped by consolidation, product complexity evolution and greater value creation by Indian pharma packaging industry.